This is a highly retrofitted product which requires modifications like cutting, gluing, or drilling in order to install. However, the possibilities are endless! 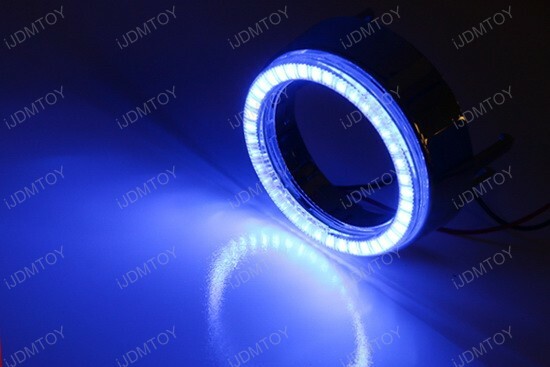 Q: How would I know whether these LED halo rings will fit? 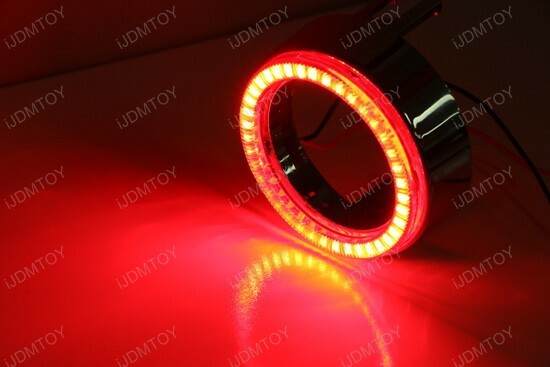 A: In order to install these LED halo rings for your car on fog lights, you need to first make sure your car's fog lamp's diameter is close to or the exact as these LED rings and you can try installing the rings with the shroud or without it. Since this is a highly customize product, we recommend professional installation. Q: How do I mount these rings? 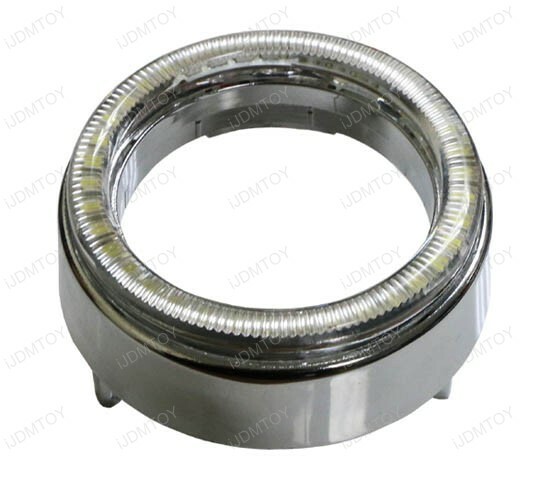 A: You can use either the shroud (included) to mount the LED ring or use silicone glue to mount the ring directly. Q: Where do I tap the wires? A: Please tap the positive wire to the stock side marker lights, parking lights 12V+ or ACC in fuse box and the negative wire to ground. 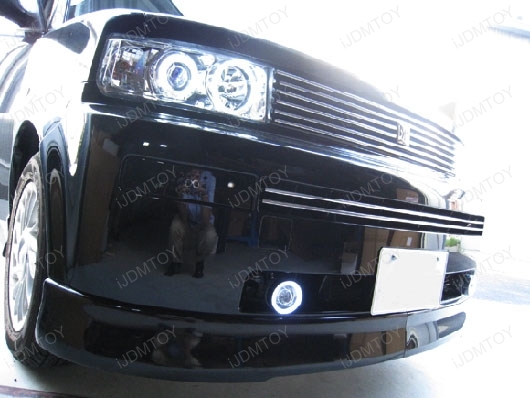 This page features the pair of xenon white 40-SMD LED angel eyes halo rings made for custom retrofit use. 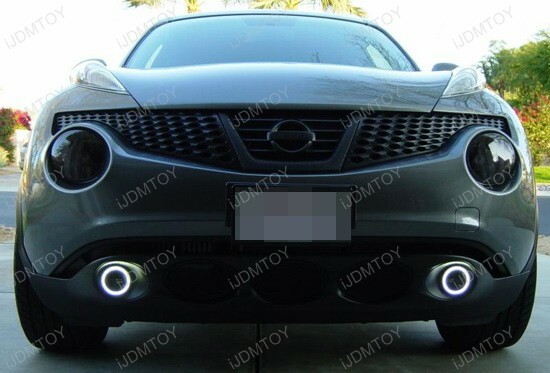 The complete package includes (2) 40-SMD LED angel eyes halo rings and accompanying chrome shrouds for fog lights. Ring size: 73 mm or 2.87 in. Shroud size: 80 mm or 3.15 in. 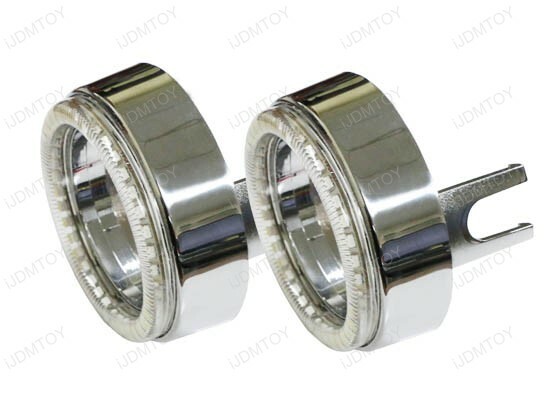 Inner gap size: 55 mm or 2.16 in. 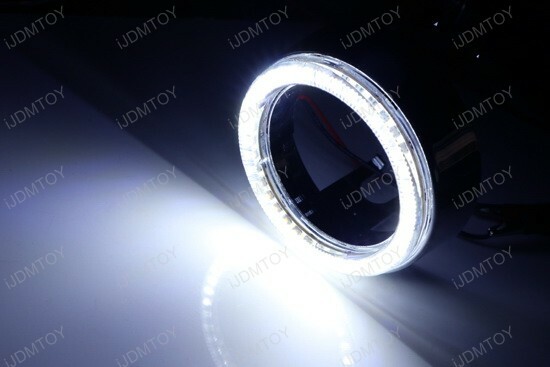 These LED angel eye halo rings can fit any fog light that is 2.5 to 3.5 inches.